Filmmaking duo Kevin Kölsch and Dennis Widmyer’s adaption of Stephen King’s Pet Sematary is the second of its kind. The first, directed by Mary Lambert, was released in 1989. Like many Stephen King adaptations, the 1989 version of Pet Sematary received mixed reviews. Many felt it to be a legitimately great concept marred by the slasher film tropes nigh-ubiquitous at the time. Nonetheless, the film was a success in the box office, and it became a cult classic among horror fans. Fitting given its name, death plays a central theme in Pet Sematary. The subject is raised early in the film when Ellie asks why pets don’t live as long as humans. Being a doctor, Louis gives his daughter a scientific explanation before Rachel tells him to stop. Rachel, as it turns out, has quite a weak stomach for death, having lost her sister, Zelda, to spinal meningitis. Thanks to contemporary makeup and prosthetics, she is far more horrifying than she was in the 1989 version. The Creeds are given their first taste of death on Halloween when Louis happens upon Church’s carcass. The cat was struck by a vehicle, but Louis decides to tell his daughter that the cat had run away instead. Jud offers to bury the cat in the Pet Sematary before leading him to a different one. It is an ancient burial ground once used by the indigenous Micmac people. To his astonishment, after burying Church there, the cat returns the following day. He is far more aggressive, however, scratching Ellie on the arm and tearing open a bird on Louis’s bed. Jud realizes the power of the Sematary doesn’t bring back the deceased as they were in life, instead imbuing them with a spirit known as the Wedigo. Louis then decides to kill Church to prevent him from bringing any more harm to his family. However, he cannot go through with it, and abandons him on the highway, again insisting that Church ran away. It is through this decision that the Louis spells his own downfall. By being so unaccepting of the inevitability of death, he and his family deny it even as it’s right in front of them. This forbids them from ever reaching the final stage of grief: acceptance. Their fatal flaw comes into play when Ellie’s parents throw her a birthday party. During the festivities, she espies Church in the road and rushes to him with Gage following after. His timing could not have been worse, for another truck comes barreling down the road. This adaptation throws a curveball in that Louis manages to save Gage in time. The directors explained that the original and countless other films had already covered all the ground possible with an undead three-year-old child. In accordance with this venture, when the truck comes to an abrupt stop, one of the tanks is dislodged, fatally striking Ellie. It is after Rachael and Gage leave for the weekend that Louis exhumes Ellie’s grave and buries her in the Sematary, thereby resurrecting her. Though Ellie acts relatively normal at first, her real self is clearly gone. Louis wants nothing more than to have his daughter back, and doesn’t realize what is happening until it is far too late. Because he was unable to deal with his grief, it consumed him utterly, and his entire family ends up paying the price. Had he been upfront about Church’s death, none of this would have happened. Although the film managed to build a lot of goodwill, a lot of it ends up being wasted in the final act. I will say upfront that I actually don’t have much of a problem with the conclusion itself. Having the entire family become undead abominations allows the film’s central metaphor to be realized. The problem I have, instead, lies in the buildup. Louis decides it would be a great idea to run off to Jud’s house, leaving his undead, abnormally strong daughter alone with his wife. While Louis clearly wasn’t of a sound state of mind at the time, it doesn’t change that the narrative devolved into a stereotypical horror film wherein characters have to split up so the killer can pick them off. Given that the film did a reasonably good job channeling the greatest aspects of the 2010s savvy horror scene, this was highly disappointing. 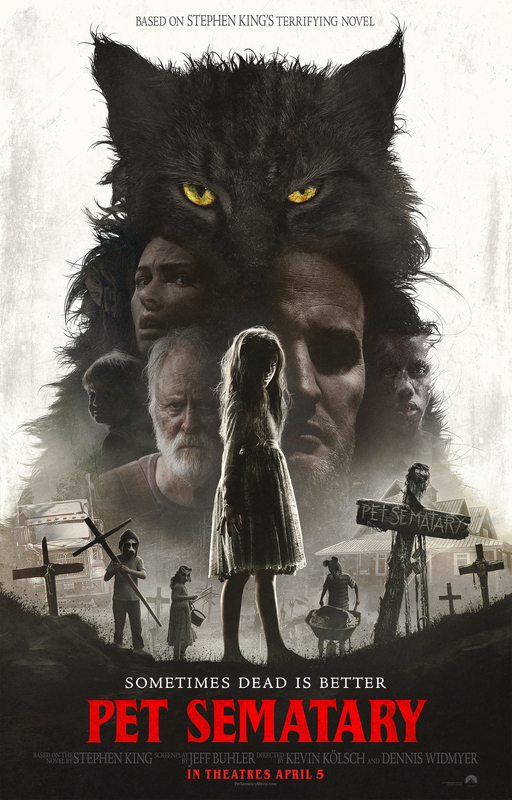 The 2019 version of Pet Sematary is a decidedly frustrating film. The premise upon which it operates is solid, the acting performances are genuinely great, and it is shot beautifully. I also saw a lot of what allowed Hereditary to become a critical darling in this film, though I would go as far as saying that it explores the themes Ari Aster touched upon far more competently. Unfortunately, Pet Sematary is one of those works that is actively bad when it’s not good. 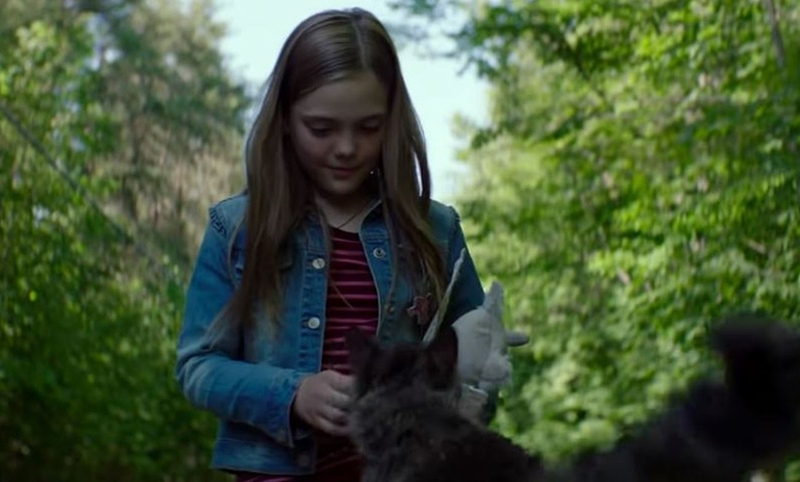 Having been released in the wake of Jordan Peele’s Us, Pet Sematary comes across as slightly behind the times. This could be a natural result of the story showing its age, having originally been released in 1983, but it’s jarring seeing standard horror tropes played straight after films such as Us proved they can be subverted without lessening the tension. I can envision Stephen King fans enjoying it because it is a decent adaptation that doesn’t settle for retreading old ground, but everyone else is better off looking elsewhere. Have I been spelling “cemetery” wrong this whole time? yeah, sorry for the lack of insight in this comment but this has been bothering me ever since the movie came out. It appears to be a deliberate misspelling of the word. As I said, I think this film is good in some respects and dated in others. It captures what Hereditary goes for far more competently, but it’s still a mixed bag. I don’t often see horror movies in theaters these days, but I think Stephen King adaptations have a decent track record, so I admit I’m curious. Especially after It proved to actually be pretty good. At the same time, knowing Stephen King more or less wrote this story as practice, and only ended up publishing it to fill a quota has me skeptical. Maybe I’ll check it out when it makes its way to Netflix or something. Honestly, as far as Stephen King adaptations go, you could do a lot worse than this film. I didn’t particularly care for it, but you shouldn’t see it in any discussion regarding the worst adaptations of his work. It is considered one of his better stories, though if the respective films are any indication, I’d say It and Carrie are better. If you’re skeptical, I’d say Netflix is the way to go. Not seen it yet but I heard Dr. Mark Kermode’s review of it. The spelling in the title drives me mad. I think I’ll avoid. I take it his feelings about the film were mixed as well, then? And yeah, this review was pretty annoying to write because I have to misspell a word on purpose correctly. If you’re on the fence, you’re probably better off skipping it. This was a film made for Stephen King fans (or fans of the source material); it’ll likely leave everyone else a little disappointed. He was, indeed, rather mixed on it. You’d possibly like his reviews, it’s the flagship BBC review show in England. kermodeandmayo is da YouTube channel, yo. As a huge Stephen King fan, one of whose favorite stories of his is this one, I did not like it. I found it to be paced poorly, devoid of scares, the main change to be for the worse, and the ending to go against the them of the original story. And they wasted an promise that the trailer hinted at with the creepy kid procession as it was a two minute section of the film. It’s not the worst adaptation of King’s works (not even close) but coming off of a string of mostly solid takes on his writings in the last few years, I had high hopes and it let me down… hard. Yeah, I don’t blame you for disliking this film. I’m pretty on the fence about it, but while I can accept that it is not by any stretch of the imagination the worst Stephen King adaptation out there, it was a major letdown after It. I think we’re to the point where the generation who grew up with Stephen King’s works truly knows what makes them tick, so this was a jarring downward turn. And I’d say that Ellie dying made for an interesting change, though the ending kind of went for that “edgy for the sake of edgy” vibe, and it is kind of like the ending of Hereditary in that I’m left asking “Okay, now what? Are they just going to go around randomly being evil?” I would be more likely to recommend this over Hereditary because it’s far less pretentious, but it’s a tough sell. I don’t really see the point in remaking films. I see the point in adapting them, as in moving from the Seven Samurai to the Magnificent Seven, and seeing things through a new lens, or twisting up familiar stories, like the Star Trek or the James Bond reboots, but just straight up remaking them? It’s not like the old ones become inaccessible, or the medium makes great strides with the time, as in the case with video games. I don’t see why I should watch a new movie instead of an old one when the new one is not materially different. 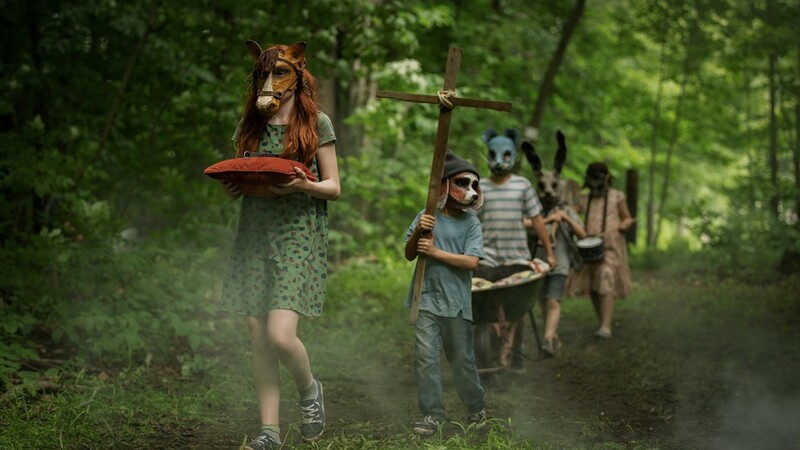 To be completely fair, this interpretation of Pet Sematary does deviate radically from the source material. While I give them credit for that, a lot of people say the change wasn’t for the better. Otherwise, yeah, remaking films is kind of the directing equivalent of tracing. You’re just waiting for the pieces to fall into place. It only really made sense in the medium’s oldest days when people remade silent films in sound. For that matter, a lot of the context that made the original great, in many cases, is lost forever, so other than for money, I don’t get the point either. Even remaking a game that was made ten years ago would be far more sensible.